Air freight is the most ecologically damaging mode of transport. It becomes the most eco-friendly option if speed is reduced. 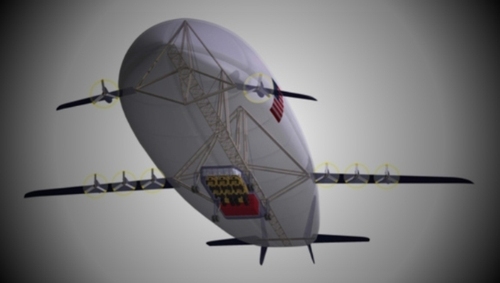 An American company, Ohio Airships, combines the advantages of air cargo while significantly reducing ecological problems. They achieve this by designing slow cargo airships, called "Dynalifters". These air vessels mix the travel concepts of planes and Zeppelins. They can carry 3 times more freight than a Boeing 747, but travel at a speed of only 200 kilometres an hour, consuming considerably less fuel.